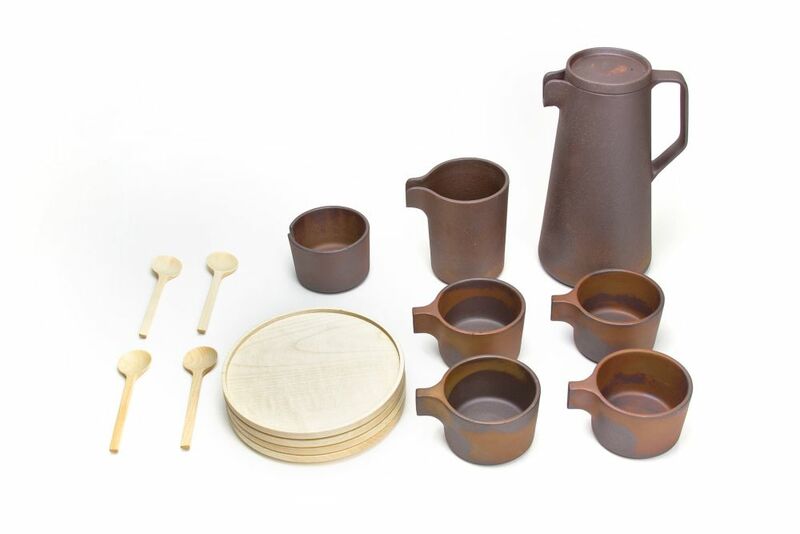 The set includes 4 cups, a small jug and a bowl (sold as set), a large jug and 4 spoons and 4 small circular plates. International design agency Viewport Studio has created a collection of tableware pieces, titled Silt, using the traditional material of unglazed Purple Clay, more commonly used for the tiny and elaborate teapots in China to serve green tea. To add to the collection we have designed a circualr plate and spoon in European Maple to contrast with the dark unfinished surface of the clay.